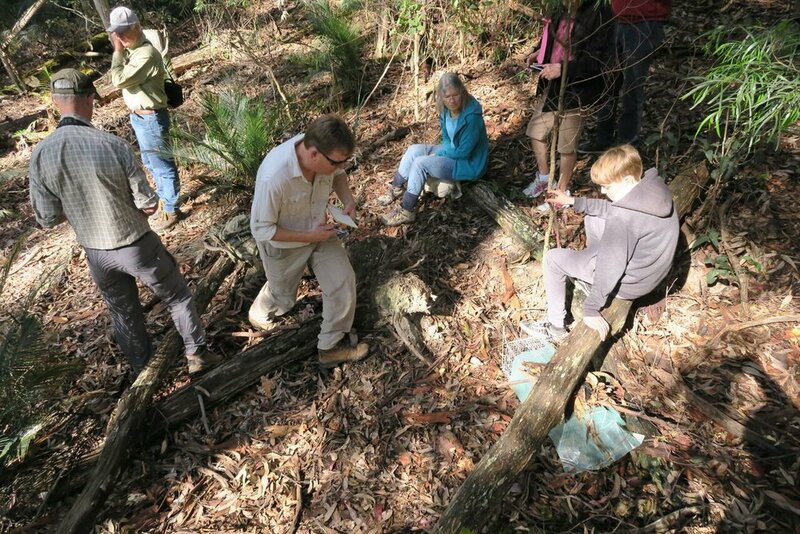 This year's BioBlitz took place on Friday 11th and Saturday 12th of November with our Basecamp at the Four Winds Windsong Pavilion just south of Bermagui. 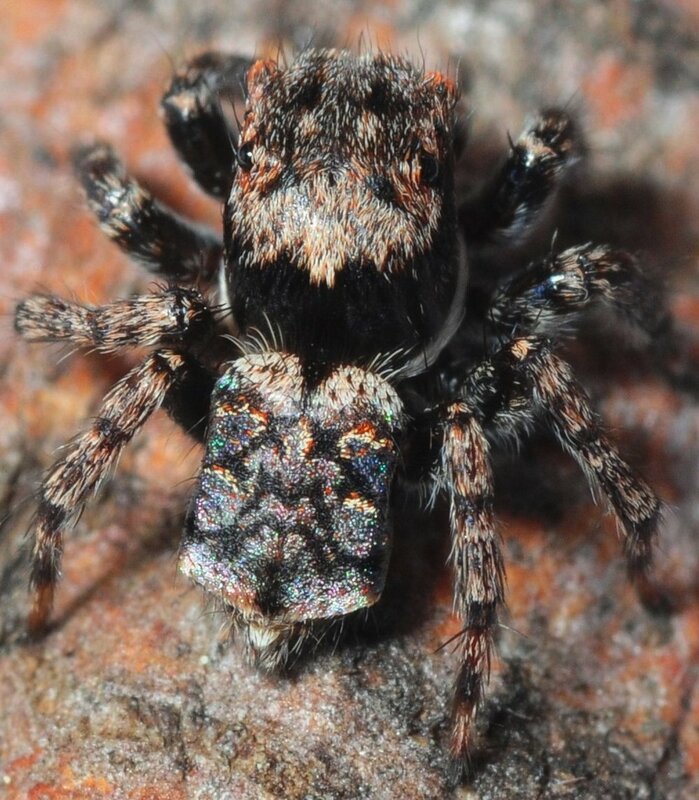 The Atlas of Life partnered with Four Winds and Bournda EEC to co-ordinate a music rich, creative BioBlitz at the Barragga Bay site and in nearby reference habitats. We were very fortunate with the weather which promised to be rainy but then turned into a beautiful week-end. Over two fun-filled, entertaining days, together the Atlas of Life and Four Winds collected species records from around 60 surveys which will establish a baseline record of the biodiversity on the arboretum site and compare it with the richness of species in nearby habitats . We invited all participants to download our new NatureMapr app to make species recording easy and fun and we ran familiarisation sessions during the BioBlitz to help people use the new platform. The tally as of March 26th was 545 species with 955 records through survey lists plus individual sightings. There were 167 species recorded on the Four Winds site and 451 at the nearby reference sites. The information collected will inform the success of the plantings and other rehabilitation works, as the range and variability of species increases as the ecological communities become established. Four Winds is committed to a long-term rehabilitation of their beautiful Barragga Bay music festival site. They have already begun the development of an Arboretum with 1000+ native, local seedlings planted and flourishing. We had a great response from the Survey Leaders so we offered a broad spread of surveys of habitats and species groups. This BioBlitz included a schools program run in partnership with the Bournda Environmental Education Centre, a Basecamp with exhibitions from the Australian Museum, opportunity to view a large number of species during over 60 surveys ranging from flora walks, to reptile hunts and searches for peacock spiders, night time moth and possum surveys, motion sensitive camera traps and many other specialist activities. Using our recently acquired Microeye microscope, visitors were invited to view the marvels of the micro world - the scales of a moth’s wing, a reptile’s skin or the gills on a fungus. There were presentations from experts and the chance to walk with them to see more of the nature of the Four Winds site. 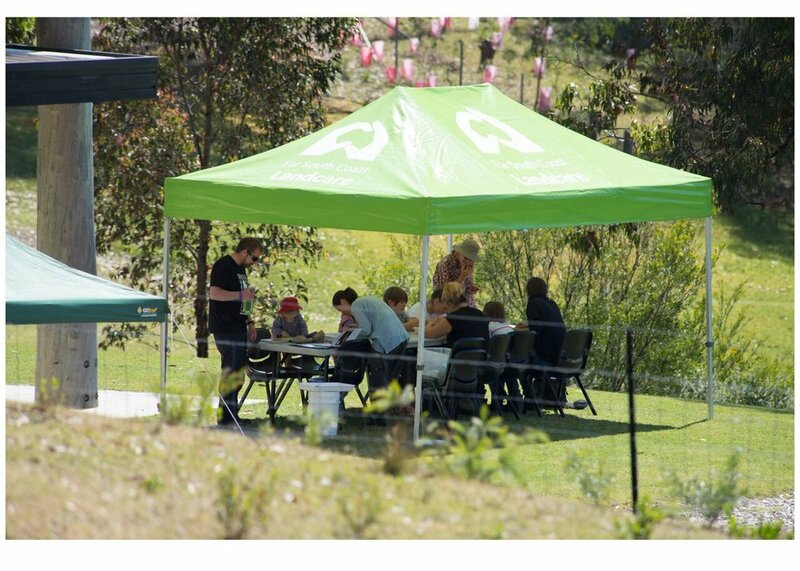 This BioBlitz formed part of the Four Winds Open Days, showcasing their and our activities, including a music performance fro "Fourplay" Indie string quartet in the Soundshell on Saturday November 12th. Artists participating in the Four Winds Bermagui Project received briefings from visiting scientist that informed creative works, some that were improvised on the day and others that will contribute to an extensive exhibition “on place” in 2017. This was a great opportunity for visitors to see and enjoy their Four Winds site from a different perspective and helped them vision its future shape for our community. We would like to thank the many volunteers who helped make this a very successful BioBlitz. It is always a pleasure and priviledge to work with so many generous and talented people and every year the excitement and interest of the BioBlitz itself makes all the organising well worthwhile. Patricia Daly our database manager deserves our special thanks as our new NatureMapr program really got a workout, both at the BioBlitz itself and in extracting all the data afterwards. We would also like to thank those who helped to fund the BioBlitz, Local Land Services, Bega Valley Shire Council, NSW National Parks and our partner Four Winds. Without their support, we couldn't offer this fun and learning every year.